1. Cut the soap base into cubes with the knife and place them in a Pyrex cup. Melt the soap in a microwave on high for about 30 seconds. Stir with a chopstick, then heat on high for ten seconds at a time, checking and repeating until melted. 2. 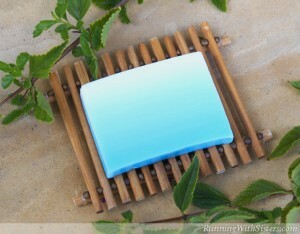 Mix in 10 drops of peppermint essential oil (or whatever scent you choose), then add about 50 drops of pink soap color. Stir with the chopstick until the soap color is blended into the soap. 3. Pour the soap into the mold. Immediately spritz the surface of the soaps with alcohol to pop any bubbles. 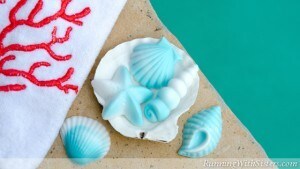 Let the soaps cool for an hour or until cool to the touch. 4. Once the soap has set up, turn the mold over and gently unmold the soaps. 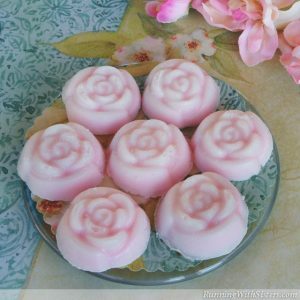 If the soaps don’t easily release, place the soaps in the mold in the freezer for 15 minutes and try again. Have you ever made soap? 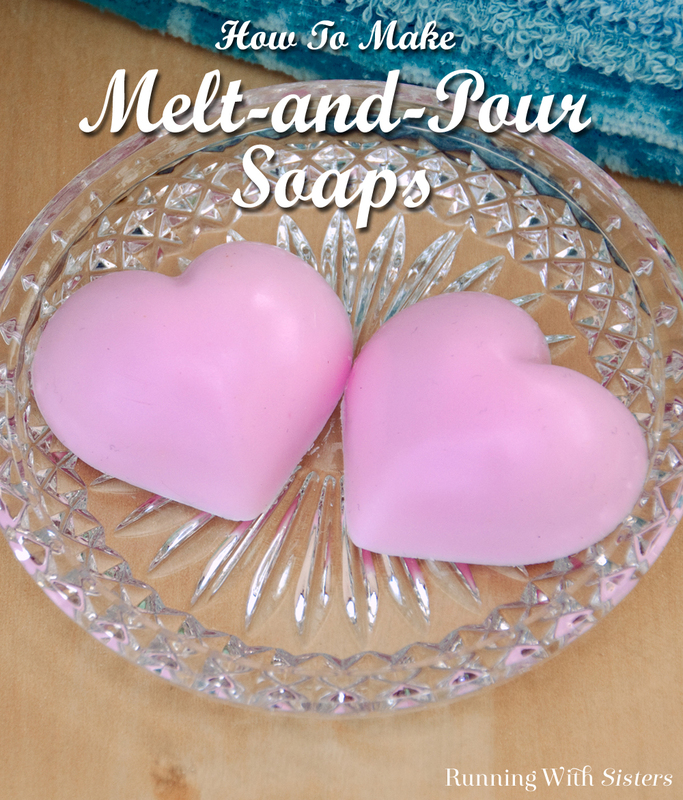 Did you use melt-and-pour soap? How did they turn out? We’d love to hear about your DIY soaps! 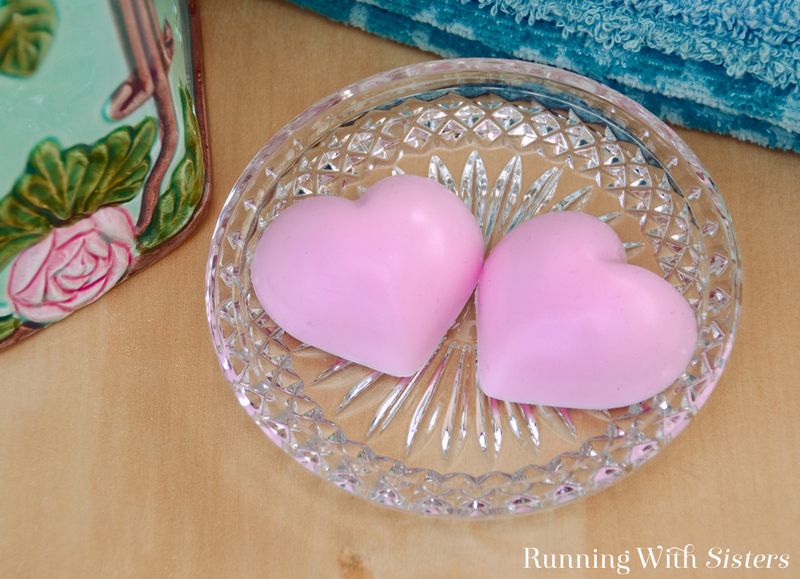 Like these Peppermint Heart Soaps? Pin them and share the love!